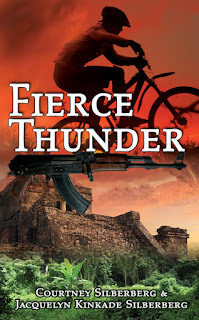 Published Bestsellers: Fierce Thunder - A mountain biking vacation goes terribly awry in the Mexican jungle. 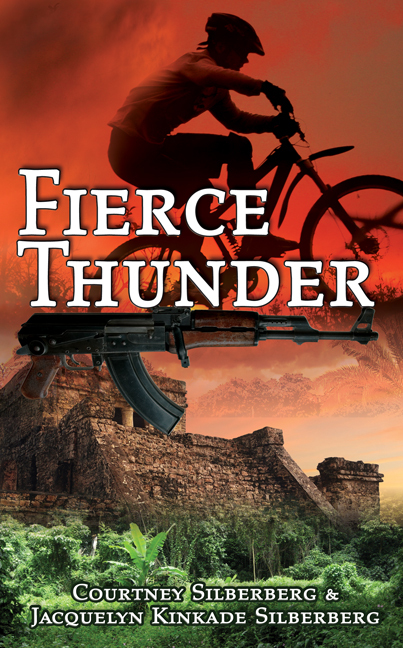 Fierce Thunder - A mountain biking vacation goes terribly awry in the Mexican jungle. greed decides who lives and dies. FIERCE THUNDER was initially a screenplay we wrote and then adapted it to novel form. It interested us when the positive reviews came in and that one said, “Lightning-fast thriller movie squeezed between covers.” This of course excited and validated what we had set out to do… produce our story in two completely different and entertaining formats. The adaptation was a tedious but fun process, as it allowed certain elements to breathe and expand. Motivations and character depth were able to be clarified and woven, hopefully, into a tight tapestry of plot and quick moving structure. It took a few months of writing, editing and transferring key elements, all the while trying to keep the pages turning. The ultimate goal is for FIERCE THUNDER to find an audience that will want to read it and get some enjoyment out of it. People’s time is so important, so for someone to read the book is really a compliment to us and something we don’t take for granted. Frequent travelers of beautiful Mexico and avid readers of what is happening in the world, we came up with the story of FIERCE THUNDER by combining our life experiences, real events and our imaginations. We love hearing other people’s stories and their journey’s in life, then applying the “what ifs” to those situations. An everyday event with everyday people can quickly become life threatening if the wrong decision is made or a new element is added to the mix. That’s drama. That’s what makes life interesting. What would we (Courtney and Jacquelyn) do if we were on this amazing vacation in the beautiful beaches/jungles of Mexico and we came across a cache of gold and then were pursued by the nefarious owners? We like to think we would make the right choices… and live to tell about it.